The last three hundred years of Muslim history has witnessed the gap between law and ethics widen. 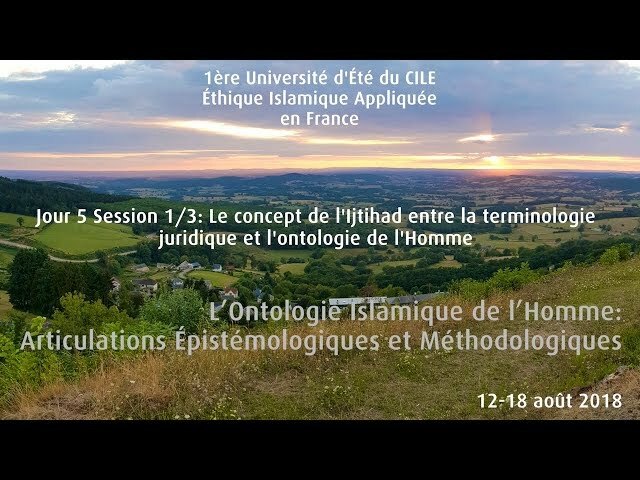 Throughout various intervals in history, the discipline of law lost its connection with the ethical paradigm of Islam. The Islamic faith has been reduced to a legal barometer, a code of halal and haram. The microscopic lens of our legal tradition which dissects and deciphers to offer creative legal solutions is the pre-eminent and predominant framework through which we analyse and make sense of the world around us. The result? More fatwas - legal opinions and verdicts – in dealing with our realities. The halal meat market is reported to be worth billions of dollars worldwide. When discussing the adab of consumption, the Quran refers to the concepts of ‘halal’ (permissible) and ‘tayyib’ (pure and good) – in other words, law and ethics (2:168). Both are to be taken into consideration. Muslims campaign to legalise the slaughtering of animals as prescribed by Islamic law but are not troubled by the undignified treatment and living conditions of animals. Surely, Islam is not just concerned with the consumption of food and meat only but the complete animal eco-system. There is an adab in dealing with animals and other creations of the Divine. The meat maybe halal but can we confidently assert that our action – or lack thereof - towards animal cruelty is Islamic? The past two decades has seen a rise of what is termed as Islamic Finance. The underpinning philosophy of which is to serve faith-conscious needs across global Muslim markets. Shariah advisors are on standby to validate contracts and transactions. However, at a deeper glance one sees the same neo-liberal capitalist framework, but this time with an ‘Islamic’ validation. Deeper questions of economic justice, equitable distribution of wealth, access to capital, and ethical underpinnings of commercial contracts (i.e. harmful substances used in building constructions) are disregarded as in the conventional financial sector. The rich are getting richer and the poor are getting poorer – be that in the name of Western capitalist free market economies or Shariah compliant finance. Even France, the bastion of Secularism in Europe, is fighting hard to introduce legal frameworks to make Islamic Finance a viable option. The current head of the International Monetary Fund, Christine Lagarde was championing the case of Islamic Finance in France when she was serving as the French Finance Minister. Are these ethical considerations of an alternative economic paradigm or an attempt to attract investment from Gulf States in an ever-declining state of the euro? The question remains: what is ‘Islamic’ about ‘Islamic Finance’ beyond dealing with legal loopholes in order to frame it as Shariah-compliant? Music is at the forefront of a cultural conduit which reaches and impacts millions. It is everywhere. Faith-conscious Muslim artists are now producing “Islamic music” as an attempt to provide an alternative to mainstream pop-culture. However, much of the same celebrity-obsession and a pop-culture which is no different to the mainstream showbiz culture (apart from the ‘Islamic’ lyrics), seems to be also evident in the Islamic cultural industry. Art continues to operate in the spiritually bankrupt and commercialised environment of modern hedonistic lifestyles. Art in the Islamic ethos is a spiritual experience, not one of self-gratification or mere entertainment. Lyrics changed to reflect direct Islamic teachings maybe a halal endeavour but can remaining subservient to a dominant culture which is driven by an obsession with fame, materialism and consumerism, be considered Islamic? The essence of Islam lies in its ethical proposition. 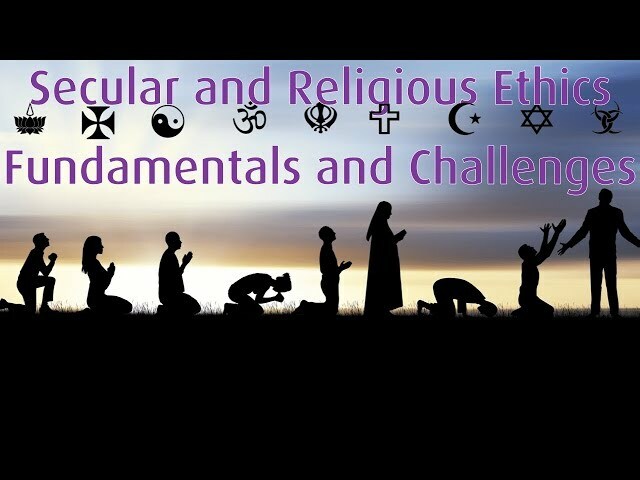 Adab (ethics of thought and behaviour), ihsan (spiritual excellence), and akhlaq (moral integrity) are three important terms which frequently appear across the Islamic scriptures. It is about the inner quality of an action and the state and manner of one’s behaviour which matters more than its mere ritual manifestation. Righteousness or birr is thus a synthesis of belief, worship, ethics of engagement, social justice and displaying inner spiritual strength. “I only was sent for the perfection of ethical standards,” said Prophet Muhammad. His was an ethical mission: to make us better believers and better humans. The Prophet reminded us that when sacrificing, the blood and flesh of an animal does not reach God, only our sincere intentions. God-consciousness is not limited to the external piety evident to the onlooker but the spiritual condition of our hearts and ethical standards of our actions. However, we have lost this sense of adab and have adopted an unauthentic approach to law and ethics. It is this ‘loss of adab’, which one of the modern world’s leading Muslim philosophers, Professor Sayyid Naquib al-Attas eloquently articulated in his many writings. The past four decades witnessed a period of Islamisation underpinned by a ‘Faruqian’ discourse (in reference to Dr Ismail Faruqi’s proposition on the Islamisation of knowledge). It resulted in adding the prefix ‘Islamic’ across many human disciplines and areas of knowledge and hence the terms ‘Islamic sociology’, ‘Islamic medicine’, ‘Islamic politics’, ‘Islamic economics’ and ‘Islamic management’ were introduced. There is little doubt that there were many positive outcomes of this intellectual endeavour and much to learn from. At the same time, it would be reasonable to assert that the Islamisation discourse has failed in not only capturing the public imagination but also in empowering the Islamic discourse with its moral credentials. We are in no need to ‘Islamise’ areas of life. Ours is the task of ‘ethicising’ realities according to Islamic principles. If Islam is synonymous to ethics in this context, then the debate is purely semantics. Having said this, there are exceptions and it would not be difficult to support the contention that Islamic Philosophy, Islamic Art, Islamic Spirituality (or Sufism) and Islamic Ethics have deep enough an intellectual framework and tradition to justify their labelling as ‘Islamic’. There are distinctive elements of art, philosophy, spirituality and ethics which render the adjective meaningful. 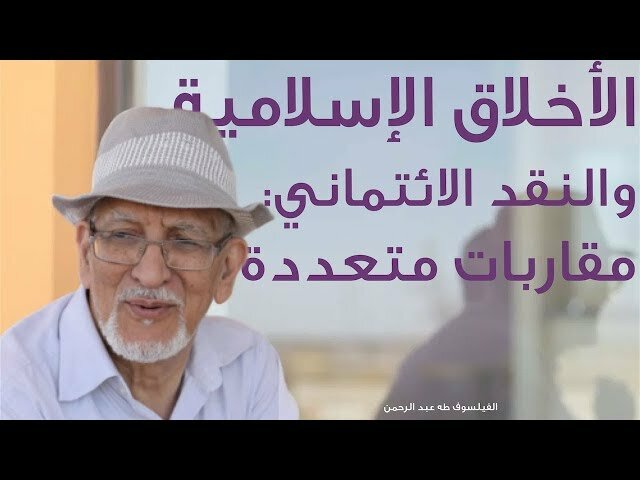 In particular, the Moroccan philosopher and academic Dr Taha Abdur Rahman’s attempt to reframe the theory of Islamic Ethics modelling it on the Islamic spiritual and mystical tradition is both creative and fascinating. 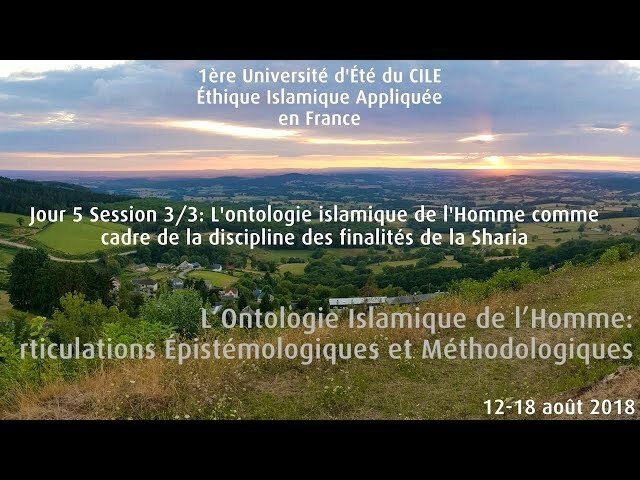 It is this acute methodology of rooting a discourse in our scholastic tradition (ta’sil) but concurrently projecting it in language relevant to our modern realities (tawsil) which is one of the key tasks required to be undertaken by proponents of the contemporary Islamic discourse. So “what is Islamic” about any thought or action? Is it limited to scriptural legal validation or can it be determined by an ethical vision alignment? People generally fall into two camps - one which wants to Islamise everything and the other which harbours an inferiority complex in using the word ‘Islamic’ or sees a limited role for faith in the public space. 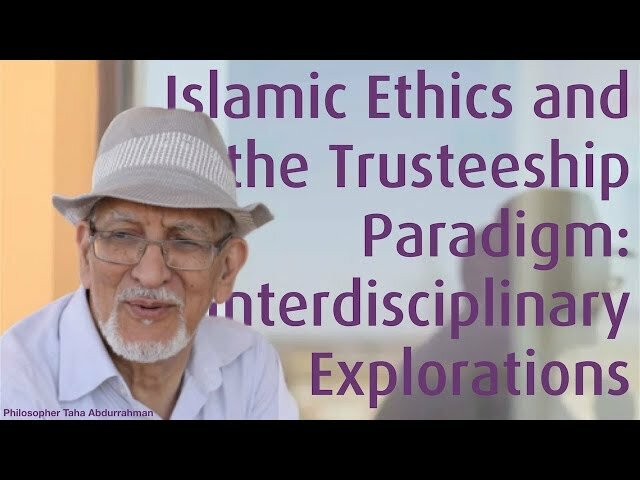 In Islam, the primary ethical corpus is derived from Quranic and prophetic traditions and is interwoven with literary and social mores, as well as a robust intellectual tradition of which al-Muhasibi, al-Tusi, Miskawayh, Isfahani, al-Farabi, al-Ghazali, Ibn Rushd, Fakhr al-Din al-Razi and Shah Wali-ullah are exemplars. The ethical tradition of Islam thus finds rich expression in the plenitude of virtually a millennium-and-a-half of historical experience. 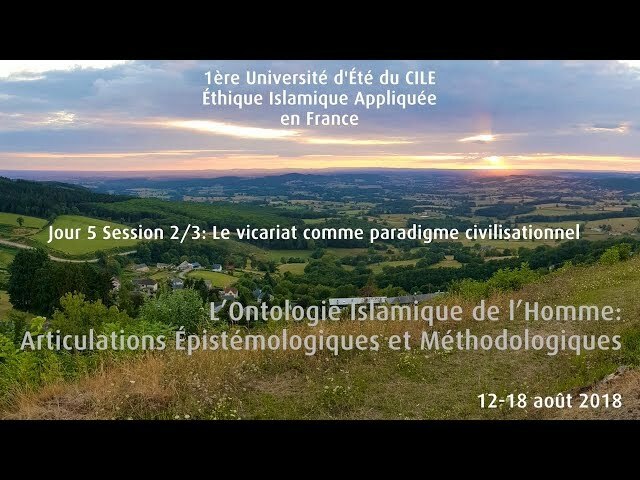 It is our sincere hope that CILE rises to the challenge of re-articulating the discourse of maqasid and ethics and contributes in restoring the ethical core of Islam in the 21st Century. It is undignified, unnatural and unethical "treatment" for a human being to be given forcefully a calming "medicine" to coexist with others next to the "medicine" that is also given to change the mind and soul, also for those others for their game in their fools´ paradise. It should register to the mind of those people that live as parasites, psychos, witches and sick others feeding on the believing being, mind & soul given "treatment" that they should let go and find their own lives WITH ALLAH (S.B.T. ).